Dies R Us: Fast & Easy! Another Wednesday and time for my little bit of inspiration for you! Today I want to give you a card you can put together in a hurry. If you are like me, it is not unusual to spend several hours getting a card made. But let's be honest, there are those times when you need a card and just don't have hours to make it. 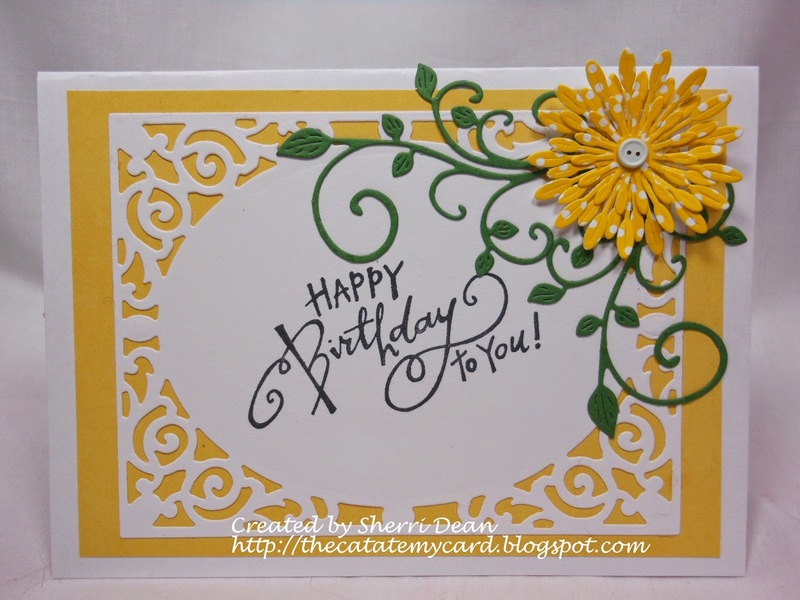 With the dies I used on this card, you can create any number of cards in a hurry, just by changing the sentiment. I made this card into a birthday card, but you could just as easily make it into a get well, thinking of you, thank you, or card of encourgement. You only need 3 dies for this great card: Cheery Lynn Mini Fanciful Flourish, Spellbinders A2 Filigree Delight & Spellbinders Blooms One. Here is a close up of the darling flower you get with this awesome Spellbinders Blooms One. I hope you have already checked the inspiration that Mikha & Darlene have posted earlier in the week, and don't forget to check back tomorrow & Friday for Robin & Alicia's posts! And remember to join in our next challenge on the Dies R Us Challenge blog too! Catch you next week! Until then, happy cutting and crafting! I love how bright & happy this card is too! 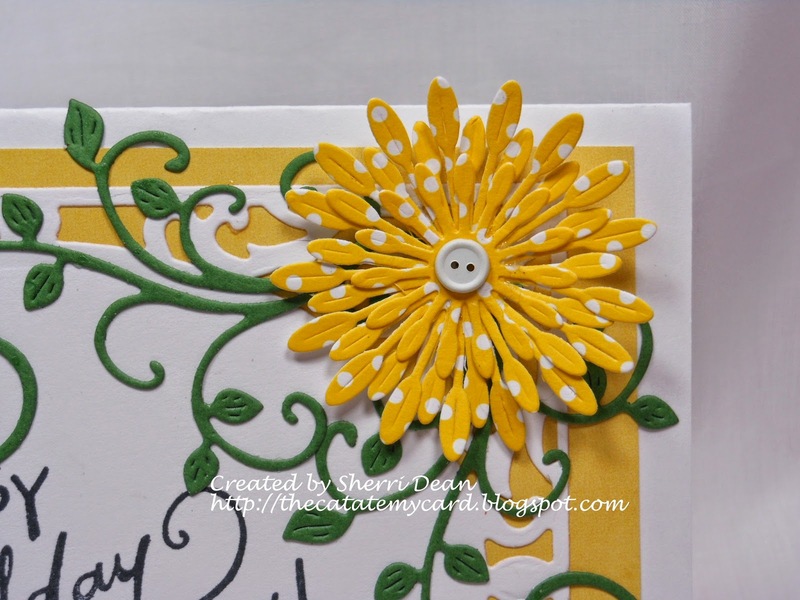 Beautiful card Sherri! Love the flower ... I just purchased that die ... now to play! Thanks for inspiration! I just love that die; I use it all the time. Such a sunny card, love your design.